FacetWP is a advanced filtering plugin for WordPress sites. In this article I am showing you how you will add the FacetWP filters on Beaver Themer category archive page. I created the WooCommerce category archive page with Beaver Themer add-on and filtering the product item based on custom attributes. FacetWP is a third party paid plugin. You will buy it from here and install it on your server. 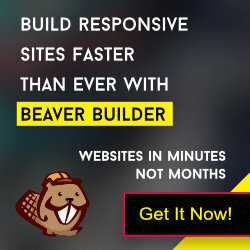 Next you will download this add-on Beaver Builder Integration and install on your site. We are using the Beaver Builder Plugin and Beaver Themer. So we need this Beaver Builder Integration add-on also. I shall filter the products. So I am using the popular e-commerce plugin “WooCommerce”. It is free and you will download it from WordPress.org’s plugin repository. After installing the plugin we shall create some custom attributes and assign them to products.